"Prophecy consists in knowledge and in the manifestation of what is known. The knowledge must be supernatural and infused by God because it concerns things beyond the natural power of created intelligence; and the knowledge must be manifested either by words or signs, because the gift of prophecy is given primarily for the good of others, and hence needs to be manifested. 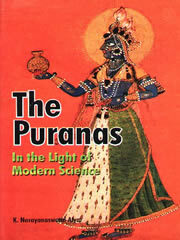 It is a Divine light by which God reveals things concerning the unknown future and by which these things are in some way represented to the mind of the prophet, whose duty it is to manifest them to others.” The end-time beliefs of Hinduism, Buddhism, Christianity, Islam, and Judaism have certainly had an effect on various cultures. But it is the apocalyptic teachings of Christianity that have had the greatest influence on society in the Western world. "Most religions contain teachings that anticipate a time, beyond the present era of suffering and injustice, when human history will be consummated by a decisive act of God. Evil will be destroyed and goodness will triumph. Teachings about eschatology are found in most religions, though they are most characteristic of the Jewish, Christian, and Islamic scriptures. Judaism anticipates the coming of the Messiah who will inaugurate an age of peace and justice on earth. Christianity teaches broadly that Christ, the Messiah, has already come to offer salvation, and he will come again to judge the world; In Islam the Last Judgment is a cardinal doctrine. While it is sometimes understood as a spiritual judgment of the individual soul after death, many passages in the Qur'n clearly describe it as a world-transforming event to occur at the end of time, when the earth will be destroyed and all people will see their just reward as they are sorted into groups bound either for Paradise or hell. Paragon House Publishing, 1995, p. 773-74. By reason of the object there are three kinds of prophecy according to St. Thomas (Summa II-II: 174:1): prophecy of denunciation, of foreknowledge, and of predestination. — when the things that are beyond the power of the human mind to know are not in themselves knowable because their truth is not yet determined, such as future contingent things which depend upon free will. This is regarded as the most perfect object of prophecy, because it is the most general and embraces all events that are in themselves unknowable. Huston Smith Can Religion Save Us? WIE: So, will the "happy ending" or final salvation that the traditions prophesy actually manifest? And, if so, do you believe that will eventuate—as the traditions predict, through divine intervention—in the "second coming"? HS: For my part, I do say unequivocally that one of the strengths of the great religions is that they promise a happy ending that burgeons after horrendous problems are faced and overcome. But here's the decisive thing that our culture is not ready to hear: they want to see the second coming as changing human history, the course of human history on this planet, which we may annihilate like a supernova. 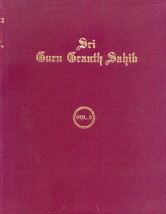 Now, there are phrases in the Bible that point toward it manifesting here—"Thy kingdom come on earth.” Or, as in the basic Hindu view, the material world and its history are like an accordion that comes out and it goes back through the four yugas (ages), ending with the Kali Yuga, the worst one, which goes to the dogs completely. But then a new cycle begins. Whatever the metaphors and the analogies, it's our obligation to try to see it happen; we should do our very best to see that it happens on our planet. And, in fact, none of the traditions claim that that happy ending is realizable on our planet; they say that individuals will experience that happy ending in the afterlife, and collectively it will be realized by the coming of the Messiah when time as we know it closes down (the wording differs from religion to religion). Huston Smith, arguably today's foremost authority on the world's great religions, has, for over half a century, dedicated himself to transmitting the wisdom of the traditions through books, television, and film and in the classroom. His best-known volume, The World's Religions, has been the standard introductory textbook in college religion courses for thirty years and has sold several million copies. Dr. Smith has produced three PBS television series and was the focus of Bill Moyers' five-part PBS special, "The Wisdom of Faith with Huston Smith.” His documentaries on Tibetan Buddhism, Hinduism, and Sufism have received international acclaim. Having devoted a lifetime to the study of the august traditions of the world, Huston Smith was our preeminent choice to answer the question: Are the religions equipped to navigate the myriad challenges of the third millennium? Initially, Huston Smith responded to our interview request with a letter saying, "I am hesitant to take part in your projected article for fear of sounding like a spoilsport. I gather that you want to come down hard on the perils that threaten our planet while giving your readers grounds for hope. My personal judgment is that my perspective differs so markedly from the mind-set of your readers that you would do better to bypass me on this one ...” We were hooked. What would the dean of comparative religious scholarship have to say in response to perhaps the most important spiritual question of our time, and why did he feel that our readers would not want to hear it? Could there indeed be no cause for hope? In his innovative and incisive critique of postmodernity, Why Religion Matters, Smith writes, "The sandwich man between placards announcing that the end is near is telling us something important... . He is not just protesting our reigning culture. However falteringly, he is gesturing toward a heavenly city that offers an alternative to this earthly one, which is always deeply flawed.” Indeed, that man could be Huston Smith himself. And, visiting with this wise and generous octogenarian in his modest Berkeley home, for the interview that he did eventually agree to, we found why he believes that, in the face of apocalyptic times, the traditions may help us hope for a good outcome, but they may not be equipped to actually help us manifest it—at least not here on Earth! i. Regathering of Jews back to Israel"Will occur right before the return of the Messiah"
ii. 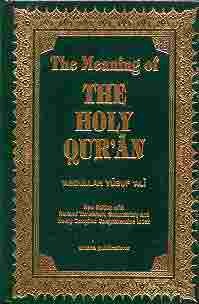 "Quran explicitly refers to the return of the Jews to the Land of Israel before the Last Judgment"
iii. "Until Moshiach comes, Judaism is simply a 'religion,' seemingly relegated to its houses of worship"
iv. 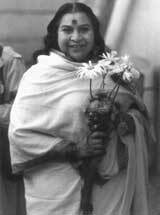 "The coming Messiah would inaugurate the age of salvation with the pouring out of the Spirit on all flesh"
Mula-vigraha-rupini (840th): The Primordial Power from who originate the various energies. “If you believe in the Goddess, then know that She is extremely powerful, She's very intelligent and if She has to protect you She'll protect you out and out, in such a way that you will not know how you have been protected. But this faith has to be developed. Faith has to be developed by experience also; how you have been protected always, how you have been helped always, how you came out of so many crises. But despite that, if you get upset, worried, if some clouds appear in the sky of your life, then if you get upset, that means you are still weak. So first thing, if you are really worshipping the Goddess then you should have no worry at all of any kind and you should have no fear at all. Go ahead, fearlessly, whatever you are doing, do it fearlessly. Bahirmukha-sudurlabha (871st): Very difficult to be attained by those with externalised mental activity, i.e. She must be first sought within. The answer to the above question is one of the fundamental differences between Judaism and Christianity. Two thousand years ago, a large faction occurred among the Jewish people: there were those who saw Jesus as divine and those who saw him as human. The first devotees of Jesus Christ were in fact devout Jews. Some of those believers in Jesus remained faithful to Judaism and considered themselves part of the Jewish community, though they viewed Jesus as the Messiah. Another group of followers broke off completely from the Jewish community; this group eventually became known as Christians. The fundamental difference between Judaism and Christianity is that Chritians believe the Messiah, Christ, came two thousand years ago, while Jews are still awaiting their Messiah. So the question is then this: Why didn't the ancestors of today's Jews believe that Jesus was the Messiah? According to Judaic thinking, Jesus did not uphold the two primary elements of the Messiah and the messianic age: justice and peace. (For more information on Biblical references to the Messiah, see Biblical Messiah) The book of Isaiah is where most of these messages are found. The Messiah is supposed to usher in a time of justice; he will judge all nations. And yet, injustice and corruption were still rampant after Jesus was crucified. He failed to bring about the major prophecy of justice that the true Messiah would have completed. Jesus also failed to fulfill the prophecy of world peace. Jews expected a time when they could get along with their enemies, the wolves, and war would no longer exist. On the contrary, Christians used war more and more to gain power and control. Jews couldn't imagine that the messianic age was upon them when believers in Jesus were causing so much bloodshed.